Dr Ong is a fully accredited female Plastic Surgeon. She practises from her clinic at Gleneagles Medical Centre but serves patients in all Parkway hospitals, Mount Alvernia and Farrer Park Hospital. 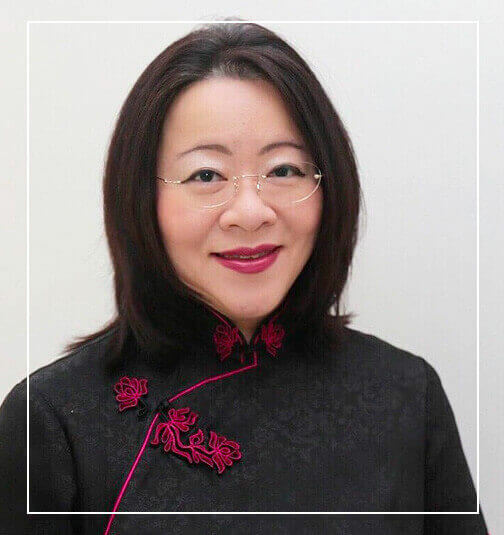 She brings with her more than 20 years of surgical experience, having served as senior consultant plastic surgeon at the National University Hospital just before she established her practice at Gleneagles Medical Centre. Dr Ong obtained her medical degree from the National University of Singapore. Upon completion of basic surgical training, she was awarded Membership to the Royal College of Surgeons of Edinburgh, and Masters of Medicine in Surgery from the National University of Singapore. In 2005, she was awarded a Ministry of Health, Human Manpower Development Programme fellowship in microsurgical reconstructive surgery. She spent a year training at the prestigious Bernard O’Brien Institute of Microsurgery and St. Vincent’s Hospital, Melbourne where she gained experience in many areas of reconstructive surgery obtaining proficiency in the management of complex reconstruction. Upon her return to Singapore, she completed her specialist plastic surgery training at the National University Hospital to become a Ministry of Health accredited Plastic Surgeon. She is also a Fellow of the Academy of Medicine, Singapore. She has continued to stay abreast of the best practices and state of the art by spending time at top plastic surgery centres in the world. This includes Tokyo University Hospital and Malmo (Sweden) for lymphoedema surgery, Chang Sung Memorial Hospital (Taiwan) for microsurgical reconstructive surgery, and Hanyang University in Korea. 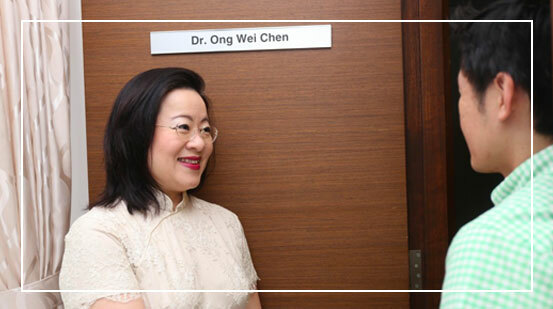 Dr Ong has been active in reconstructive work, including breast reconstruction; reconstruction after oncological resections for skin, head and neck, abdomen, pelvis and extremity; facial reconstruction after facial nerve palsy. Her other areas of interest include body contouring surgery (post bariatric body contouring), liposuction, lymphoedema as well as facial and breast aesthetics. Dr Ong remains fully engaged in teaching and academia. She is an Adjunct Assistant Professor at the Yong Loo Lin School of Medicine, teaching medical students as well as plastic surgery trainee doctors. She held the appointment of Programme Director of the National University Health System plastic surgery residency training programme. She has published numerous scientific papers in respected peer reviewed medical journals and book chapters. She has been invited to give lectures both locally and internationally on various topics in plastic surgery. She continues to serve as Visiting Senior Consultant at the National University Hospital. With decades of experience, our surgeon will take time to get to know you, understand your goals and determine a customised plan during an in-depth consultation. For more information please call us at 62658168 for an appointment or fill in the enquiry form and our staff will get back to you as soon as possible.